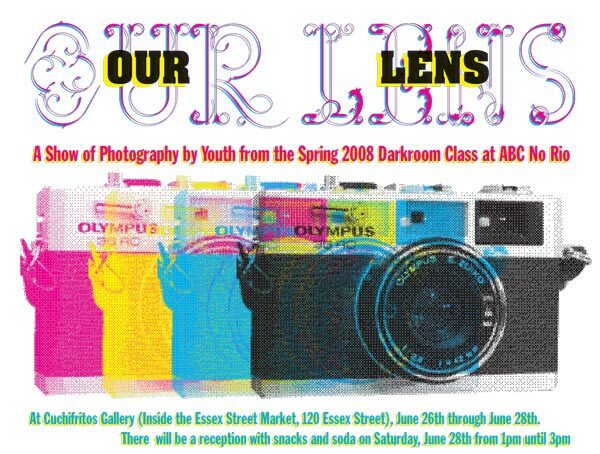 Our Lens is a show of black and white photographs taken by the 15 to 18 year old participants in ABC No Rio’s Spring 2008 darkroom photography class. Over the course of ten classes these students learned how to use SLR cameras and navigate the darkroom. These photographs show a glimpse of their view of the Lower East Side, ABC No Rio, and life as a teenager in New York.